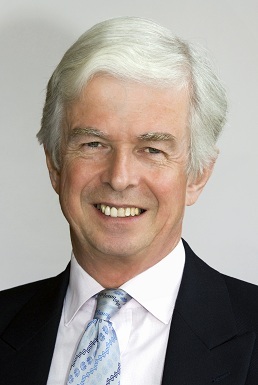 Andrew Cubie was, over many years, the Senior Partner or Chairman of one of Scotland’s established law firms. He specialised in Corporate Law. He holds or has held a number of non-executive Directorships in public and private companies ranging from investment trusts and corporate finance to manufacturing. He is the Chairman of Quality Scotland, an organisation committed to business excellence. He is also Chairman of the VSO in the UK and the RNLI in Scotland, and one of the two Deputy Chairmen of the RNLI for the UK and Ireland. Andrew has been engaged in education issues throughout his professional career, having been Chairman of Governors of George Watson’s College, Chairman of the Court of Napier University and the Chairman of the Committee of University Chairmen for the UK. He was Convenor of the Independent Committee of Inquiry into Student Finance in Scotland (“the Cubie Committee”) which brought about the abolition of tuition fees in Scotland. He is a former Chairman of the Confederation of British Industry in Scotland, and of the Northern Lighthouse Board. He chairs the Scottish Credit and Qualifications Framework and also chairs the JNC of the Universities Superannuation Scheme. He serves as a member of the Management Board of Education Scotland, and is a Chairman of the Leadership Foundation for Higher Education. He also is an advisor to the World Bank in Washington about Higher Education issues in India and South East Asia.